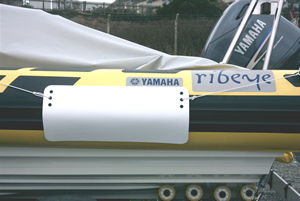 Designed and manufactured by Compass Marine the Rib Fender is proving a must for owners wanting to protect the tubes on their ribs. Manufactured from 10mm thick, high impact resistant, closed cell EVA foam giving the fenders extreme durability. The rib fender is pre-formed to follow the contour of the tube, light weight and easily stowed. 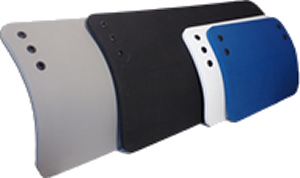 The fenders are made from 10mm thick, high impact, UV resistant foam and come in four sizes and colours. Tied to a grab rope or grab handles fitting neatly over the tube preventing any abrasion when mooring or boarding.